Looking for some illustrated printable items to make you smile? You've come to the right place... Stay and shop! It's funny that is The Art of Joy's shop announcement. As I was looking through her shop and found myself smiling. 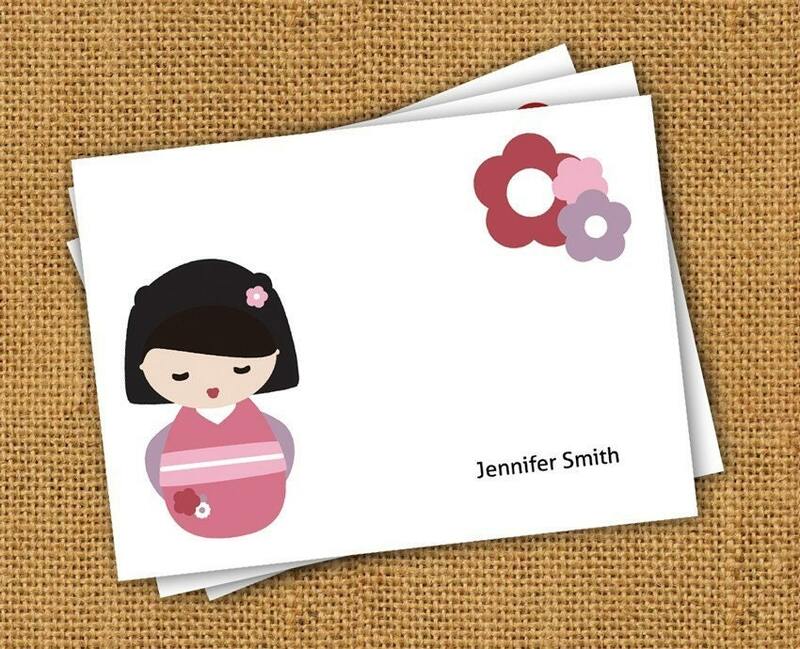 Cute Kawaii notecards, invitations, and stickers can be found in her Etsy shop. 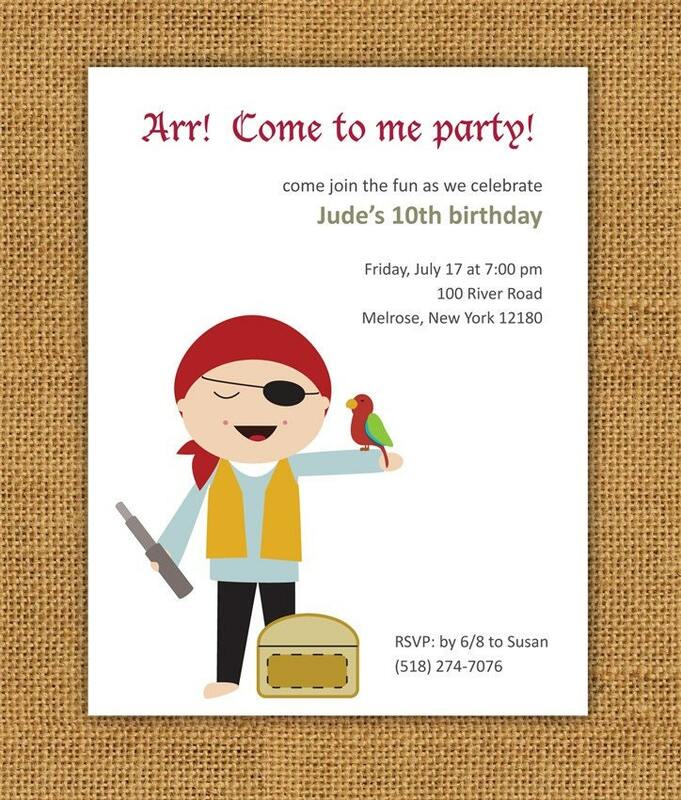 Take a look at the sweet notecards and pirate invitations I found. This Creative Mamma, has an incredible blog full of free printable downloads, podcasts and articles. As many of you know, I'm a marketing manager full time, and I give her site an A! On her site, you can see she's very up to date, participating in all the social media out there: Twitter, Facebook, YouTube, and Flickr to name the big ones. The design is awesome and clean and easy to read. But most of all, I find her generosity of podcasts and downloads the best part of her blog. Her illustrations are top notch and just plain adorable. Make sure you subscribe to her site/blog so you can stay up to date on her latest. And while you're at it, be sure to follow, friend, subscribe you name it! I can't wait for my first update from her shop. Have you Heard about the Artfire Promotion? Get 1 month FREE! a full suite of management and promotional tools, a customizable store, and more! There are no contracts. You can cancel at any time with no cancellation fee or penalty. This marketplace was built by sellers for sellers. Our mission is to help you meet your online sales goals and we give you the support, education, and tools you need to be a successful seller online. Nothing can be further from the truth. 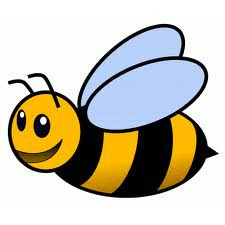 The powers that be at Artfire are so seller friendly. That's one of the reasons why I stay. 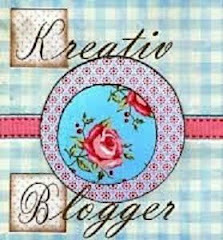 My question to answer and blog for this month's blog carnival is: February 14th is Valentine's Day. What is your best childhood memory of Valentine's Day or What childhood tradition do you now carry out with your children. That's a tough question because I've never been much for Valentine's Day. I think because of its proximity to my birthday. Many birthday gifts from friends were Valentine themed. Didn't care for that. Too much pressure at school about who collects the most Valentine's, who has the most boyfriends of that day, those types of things. 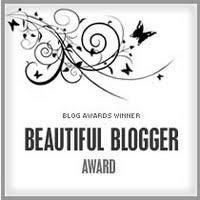 My best memory, I blogged about last year. 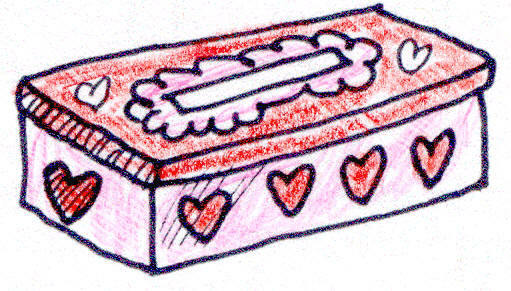 But I do remember making my box to take to school to collect those cards. We'd keep the shoe boxes and mom and the sisters would all gather around the table amongst the red, pink, white shades of paper, doilies galore, glue, glitter, you name it! I didn't have any brothers, so it was just plain fun and girly to decorate. Mine always had to be perfect and cohesive in nature. NO box showing at all! I'd make sure I had that right box every year. The size had to be just right for whatever I had in mind. I can't recall any specific designs. But I do remember when I cut my hearts, they had to be just right, or they were not used. I always had a vision. If I had to participate, I was going to do it right! 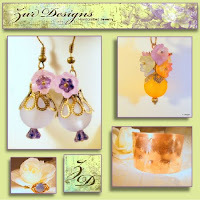 Daine also has a 2nd shop on Artfire called BeadSouk... take a peek there too! 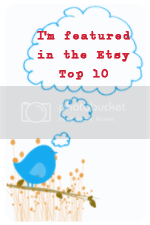 I would appreciate your support by voting for me on the Great Finds - On Fire for Handmade. My dainty pink anklet was chosen and I would just be ecstatic if I were to win. The prize is a month of free advertising. Vote on the lower left side in the grey box. 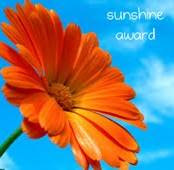 Just click Finding Charm and submit vote - that simple! waiting for you! Truly unique designs by a very talented lady!